When teaching children who have learning disabilities, it's important to use methods that work best with their unique needs. 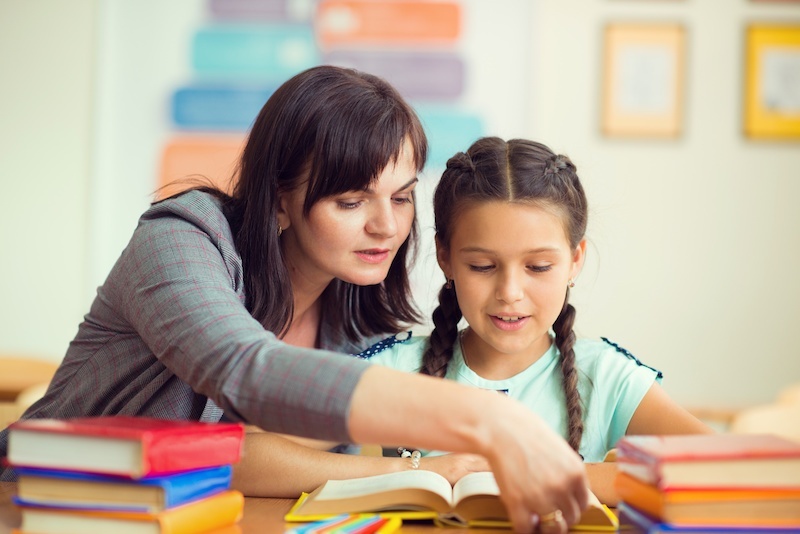 If you are struggling to teach a student with dyslexia or you are a parent of a dyslexic child, here are some methods that may be worth checking out. Dyslexia is a learning disability that was identified over 130 years ago by German neurologist Adolph Kussmaul. The word "dyslexia' simply means "difficulty with words." Although many people associate dyslexia with the switching of letters in a word, it's a reading disorder that extends beyond simple letter conversion. Children who have this learning disability (LD) also have difficulty in recognizing characters, learning the sounds of letters and even identifying words that rhyme. As children get older, they may exhibit other signs of dyslexia, such as difficulty spelling and delayed language development. Luckily, there are many tried-and-true practices that teachers and parents can use to better support children with dyslexia. This popular method has long been used to teach children with dyslexia how to read. By focusing on the connection between letters and their sounds, children can assign more meaning to the language and develop better overall comprehension. It also uses a multisensory approach, which means that sight, sound, touch and movement all work in tandem when learning words. This deliberate teaching method involves techniques such as clapping syllables to help the child better segment words into their components, or phonemes. It also focuses on connecting sounds to their symbols (letters) in two ways: visually, through reading, and auditorily, through spelling. This approach uses a systematic and cumulative progression of learning, meaning that lessons logically connect and build on each other. Finally, it's important to use compassion when approaching a child who struggles with dyslexia, since this condition has been shown to affect a child's self-esteem, confidence and mental health. Whatever method you choose to practice, be sure that you are cognizant of how you can increase the child's sense of self-worth. Praise them often for their hard work, don't put them on the spot in front of their peers, and give them the opportunity to answer questions aloud when possible. Teaching a child with dyslexia may look different than working with a child who does not have a learning disability. However, because of valuable teaching methods that are being used around the world, it no longer needs to be a challenge. If you suspect your child may have dyslexia or has already been diagnosed, consider Brain Balance. We create a customized program that addresses any deficits in functions or skills your child may have. The frequency and duration of these tasks, activities and exercises are clearly communicated to you and are what makes the Brain Balance Program so effective for dyslexia and other learning disorders. Start with our online assessment quiz to learn more!